I am too excited (and slightly nervous) about this: on Wednesday June 8th, I will presenting my first ever Pinterest webinar on using Pinterest for Tourism Companies!! I’ve partnered up with the incredible people of Trekksoft (an online booking software and website builder for tour operators and activity providers) to share with you some of my best tips in using Pinterest for your travel business. 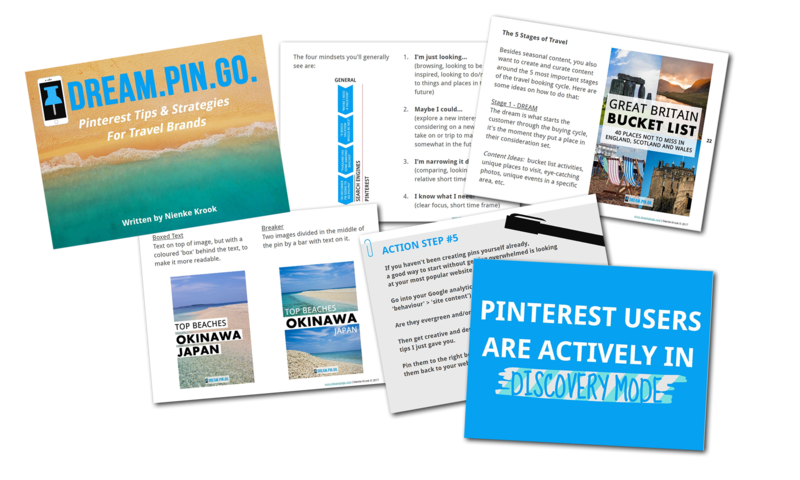 In this free Pinterest webinar, I will show you how to connect with customers at key moments in their travel buying cycle through strategic Pinterest marketing. Of course, at the end, there will be plenty of time to ask your questions as well, so make sure to RSVP to get access to the live webinar. Can’t make it on June 8th, 8PM CEST (2PM EDT / 11AM PDT)? Then keep an eye out on the Trekksoft Website, as the webinar will be up for replay later on. Hope to see you at the Pinterest webinar! Thank you for your support! Posted in announcements, tourism marketing, travel marketingTagged webinarBookmark the permalink.